Some mornings can be rough but that doesn't mean you need to skip breakfast! Be mindful of the dishes you cook, and don’t let leftovers go to waste. Reinvent dishes into dishes you can prepare in no time at all. Left-over pasta sauce can be turned into huevos rancheros. Left-over vegetables and meat can be good building blocks of yummy fried rice or omelets. Make meals you can store in the freezer. Try making breakfast muffins, chorizo and cornbread muffins, or the high-protein crustless mini quiche. Pop those into the toaster oven as you get ready for work and it will be ready for you to enjoy in 5 minutes before you head out the door. Having adobo for dinner? Make a big batch so you can also make adobo flakes for breakfast! To make yummy smoothies, freeze cut-up fruit, pop them in a blender in the morning, add milk, and blend until smooth and creamy. Make healthy overnight oats in jars. Experiment with different flavor combinations to keep things exciting! 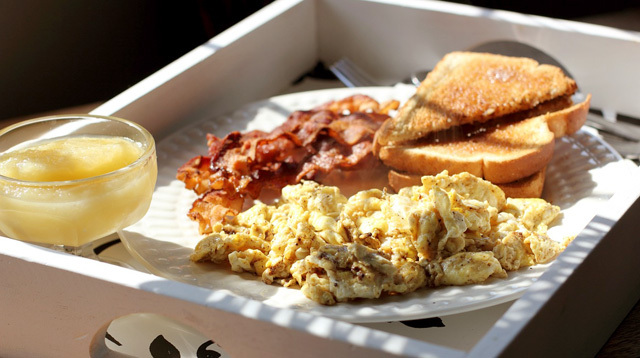 For more ways to making breakfast easier, visit Yummy.ph!